I don’t like hearing about how the world is getting worse. About how we can’t do things today that people supposedly did before because things are just unsafe or dangerous. I don’t like hearing this because it isn’t true. Here are some ways the world has gotten decidedly better over the past several decades. Crime has fallen across the board. According to Gallup, the number of violent crimes per 1,000 people has fallen from 51.7 in 1979 to 15 in 2011. Property crime has fallen by 28 percent since 1994. Interestingly, the majority of Americans believe crime is getting worse. The teen birth rate is at its historical low. In fact, it’s been on a long-term decline since the late 1950s. Not all teen pregnancies are bad, of course, but I think it’s safe to say that almost all such pregnancies are unwanted. Teen pregnancies also pose health risks for mothers and babies that aren’t as common among older mothers. Fewer Americans smoke than ever before. This news came out on Wednesday after the CDC calculated that just 17.8 percent of American adults smoked cigarettes in 2013. I don’t think smoking is necessarily a bad thing. But a decline in the number of smokers certainly doesn’t mean things are getting worse, considering even smokers themselves are more than likely to want to quit. At the very least, it means fewer people are addicted to something they don’t like. 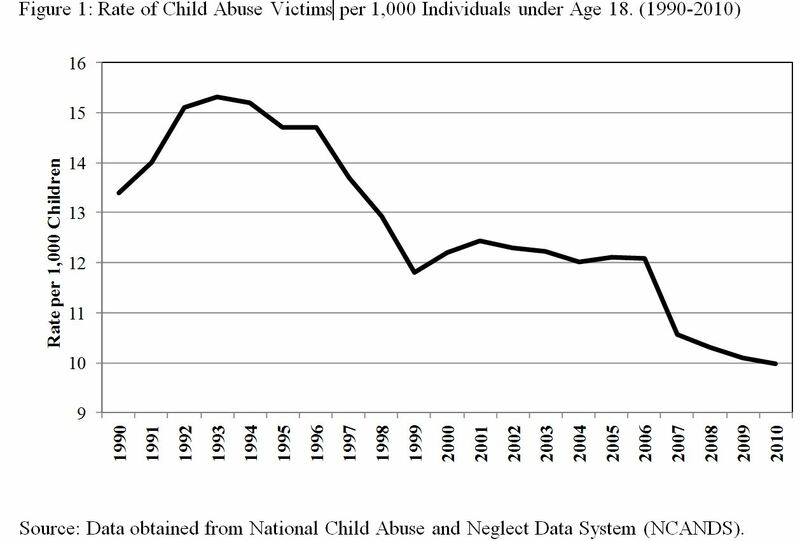 Child abuse rates are falling. Since 1993, child abuse rates have fallen by more than one-third—from 15 to 10 per 1,000 children. I could go on and on. I’m sure I could find statistics that make things look worse, but these are some pretty big ones. The falling crime rate is especially telling. I’d like to write a longer piece on this that explores what most people would consider the world “getting better” to mean, then comparing their perceptions of how those metrics are performing with real-world data. Anyone know if something like this has been done? Lots of stuff there. I’ll sift through. I hadn’t heard of this project, so thanks.